The method of cleaning we use is called hot water extraction Sometimes called “steam cleaning”. We only use truck-mounted units. This method is the one required by major carpet manufacturers to fulfill the warranty requirements. Why do you charge by the square foot? We want to insure that you are getting the best value for your money. By having our carpet inspector come to your home we will be able to provide you with an exact total before the technician arrives. Some rooms may require wall-to-wall cleaning while other rooms may only require traffic areas. By having our inspector give you a carpet audit you can choose the best value for your home. Other companies charge by the room – can’t you give me a price by the number of rooms in my home? To provide you with a price for carpet cleaning involves several things: the degree of soiling, deep or light, the type of carpet and the square footage. If you have a room that has 450 square feet and 2 rooms that only have 100 square feet – you shouldn’t have to pay the same price for each room. I have my room measurements – can you give me a price for the cleaning? Yes, I can give you a price over the phone, but the price that I quote will be just a ballpark figure. There are several factors that go into an inspection that I cannot provide with a phone quote. We offer several cleaning packages and our Technician/inspector will be able to determine with you the best value for your home. He will be able to identify if there are areas that do not need a cleaning and may save you money. Our technician will provide you some after cleaning guidelines to have your carpets dry ASAP. The carpets will usually be dry in 6 to 8 hours. The weather is the factor here. We do ask that you limit major foot traffic until the carpet is dry. If you need to have the carpet dry sooner, for an additional charge we can speed dry the carpet. We also can provide surgical booties if you must travel on it immediately. Can you remove the dog urine and stain from the carpet? Urine can be a complicated cleaning procedure depending upon the degree of urine contamination in the carpeting. If the degree is only light or an one time occurrence, we can take care of that with a topical treatment to neutralize the pet urine and we are usually successful at removing the urine stain. If the degree is medium or heavy, (repeated recontaminations and/or large, or several pets, then only our carpet inspector will be able to give you options for the best available method of removal of the urine. I heard that I should wait as long as possible before having my carpet cleaned, because it will get dirty faster. That is an old wives’ tale, which was started about 25 years ago, when in home carpet cleaning first began; the most popular cleaning method was shampoo. The shampoo left a sticky residue that did cause re-soiling. The method of cleaning that we use does not leave a residue, so your carpet will be free of dirt attracting residues. Unfortunately if a company or technician uses the cheaper detergents on the market, or doesn’t take the time to rinse well enough can also leave a sticky surface that attracts more soil to the same place, causing a spot to re-appear. This carpet is really trashed; how do I know if it is worth cleaning? The inspector or technician will be able to give you an audit of the condition of your carpet and recommendations, before the cleaning begins. We can even do a test spot for you at no charge to see if we can get the results that we and You want. Do I have to be home to have the carpet cleaned? 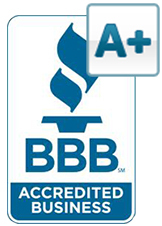 Our company is licensed and bonded and has been working in this area for over 32 years. We often have our clients leave a key under the mat and our technician can lock the key inside upon completion of the job. Or, if you prefer, we do have technicians available for early mornings before you leave for work or late afternoons. If you like, we can take a credit card number over the phone, and the technician will leave a bill for you. Do I have to move all the furniture out of the rooms to be cleaned? No, you don’t have to, you save money by doing more of the moving or letting us work around the major pieces. We can take care of everything for you. We provide several levels of service so you may choose just the service you need. Our technicians can do a complete wall to wall cleaning, moving the furniture, cleaning behind it, and replacing the furniture on protective blocks or tabs. Anything that you do not want moved, we could clean around it. If we are moving furniture, we ask that you remove fragile items such as lamps, plants, and clear surfaces of any furniture to be moved. The carpet inspector and you can discuss which items you would like to have moved. Are you able to remove cigarette smell? I would recommend our carpet inspector to give you a complete audit of the home for the best results of removing the smoke smell. But to give you general idea, we can clean and deodorize the carpeting with a product designed to remove smoke smell. Keep in mind that there are other factors involved than just the carpeting. The drapes and furniture will have smoke in them. The walls and ceiling also may have a layer of smoke residue. So, for a complete smoke removal our inspector will assess your specific situation and then the two of you can map a plan of attack. Does carpet cleaning remove the stain protection that was on the carpet when I bought it? Our technicians have been schooled in proper cleaning methods and products. The cleaners that we use are designed to gently remove traffic lanes and general soiling, without affecting the stain resistant qualities that are built into the carpet. The stain guard protection does wear off with vacuuming and foot traffic and we do recommend that you have the stain guard reapplied to renew the protection, especially in those areas where food and drinks and other spills are likely. Should I vacuum before you clean? 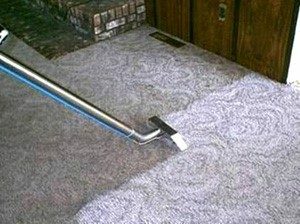 For the best results, we do ask that you pre-vacuum your carpeting before our technician arrives. Or Our cleaning package includes pre-vacuuming, so you just leave the work to us. Can you clean my wool carpeting? Yes, we can. The wool carpeting does require specialized cleaners and techniques. Our technicians are fully trained in the cleaning procedures for wool. Rest assured, we can clean your wool carpeting. What is fabric protection and why do I need it? It is the product that is put on at the factory to help your carpets stay cleaner longer. It wears off with vacuuming and everyday foot traffic, and the manufacturer recommends it be reapplied. It really is a great product and I recommend you have it done I’ve seen the benefits of it in my own home. How much do I need to vacuum my carpeting? The EPA suggests vacuuming at least twice a week in traffic areas and in other areas weekly. Vacuuming is key to helping your carpet stay in good condition. I heard that having my carpets cleaned could cause my child to become ill? Carpet cleaning is one of many possibilities that were studied. There has been much research done on Kawasaki syndrome and there has been no cause found for the illness. (REF Current Medical Literature: Infectious Diseases 1994;8) We do recommend that the children stay off of wet carpeting. I can send you the latest information if you would like. Many Carpet manufacturers require the carpet to be cleaned in the first year to year and a half and save the receipts to qualify for warranty. This is because the dirt deep in the carpet scratches and grinds the carpet down to worthless fibers that ends up in the vacuum bag. Why is your price higher? The ads in the paper are for much less. The cleaning that we do is guaranteed to be the most thorough cleaning, or it is free. We take the time to do the job right – without baiting the public with a low price then switching it when the technician arrives to a higher one. We too, have comparison-shopped the other cleaners in our area and we are fairly-priced, when compared service for service (if they have adequate equipment and qualified technicians). The difference is we truly are the best. What should I do to get ready for the cleaning? We recommend that you clear furniture to be moved of lamps, plants, and surfaces. If you have a bookcase, china closet, or china hutch that you would like to have cleaned under we ask that you have it unloaded. Or we can clean around it. Also, we ask that you would help keep pets and children out of the work area for their protection and it allows our technicians to spend their time on your home, rather than watching out for them.